Last week I was in Disneyland and it's left me feeling so Christmassy it's unreal! I'm loving snuggling up in the evenings next to the Christmas Tree with a massive cuppa when it's freezing outside but I'm also loving the hundreds of excuses to get dressed up. 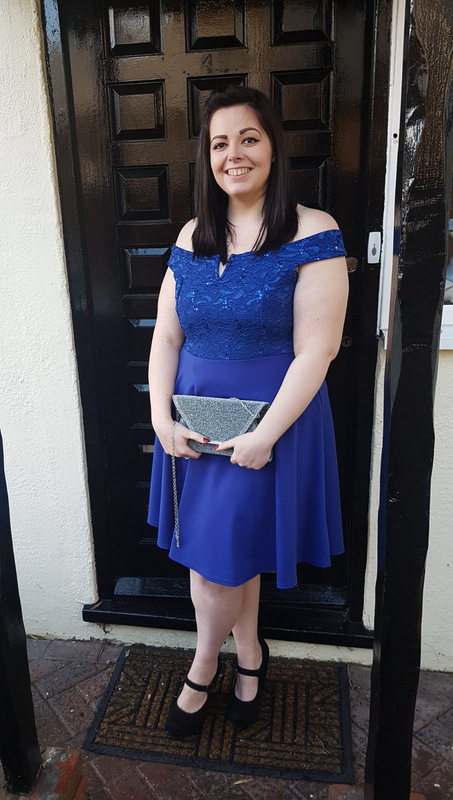 It seems no matter where you look this time of year there's an excuse to get glam and party and thanks to Quiz Clothing I've got the perfect outfit! 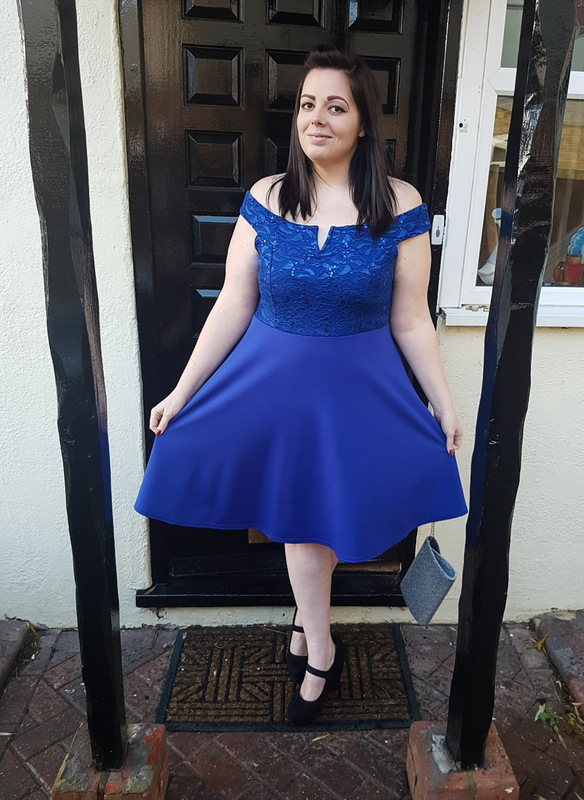 When it comes to party dresses I always head for a bit of glitz and glam and this gorgeous royal blue bardot style is perfect. The style is personal fave of mine as I love the fit and flare look and with it being off the shoulder it's just that tad sexier than the usual skater. The bodice has a sequin encrusted top with a plain blue bottom so it's not OTT but offers that holiday sparkle that's so lusted after this time of year! A little known fact about Quiz is that they also offer plus size clothing, I'm usually a size 18 in Quiz but this dress is a 20 and still fits like a dream. 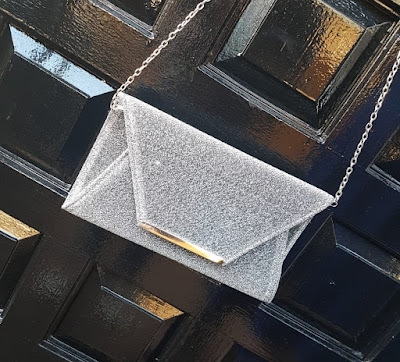 I also recieved this beautiful grey clutch from the Gabby Allen x Quiz collection which I feel does not only offer that extra glam touch but will go with SO many outfits. Imagine this with some skinny jeans, heels and a blouse? Beaut! Not only can it be used as a clutch but it also has a detachable chain so it can be worn across the body or just as a normal bag. It's a fab size and I've been able to fit my purse, phone a mini mirror and lippy in it, so it's perfect for evenings out and weddings! My Christmas plans are a little low key this year but I plan on wearing these beauties on a night out I have planned in the New Year and for a meal I'm going to just before Christmas. What do you think of the dress and bag? Can you see it in your wardrobe? I LOVE the colour of that dress!! I must pop into Quiz and have a wee looskie soon!